Forge and Fight is perhaps the most unusual combat simulator lately. 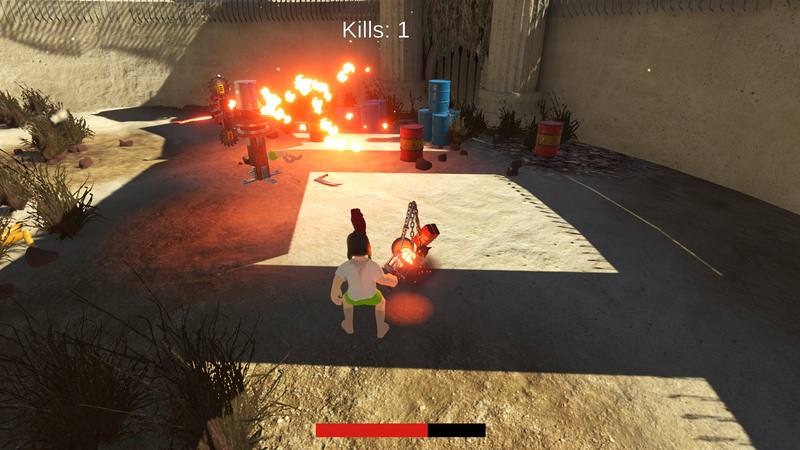 The fact is that in this game the battle itself is not simulated — here the creation of medieval gladiator weapons is simulated, with which you will destroy enemies in different arenas later. 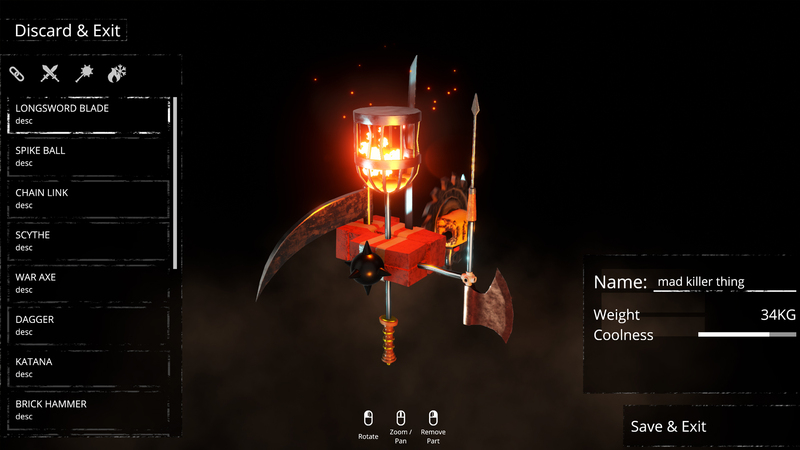 The essence of the game is as follows — you will participate in medieval gladiatorial battles in arenas, resembling the closed Colosseum, but for battles you need weapons that you yourself will create in a special menu of various elements. 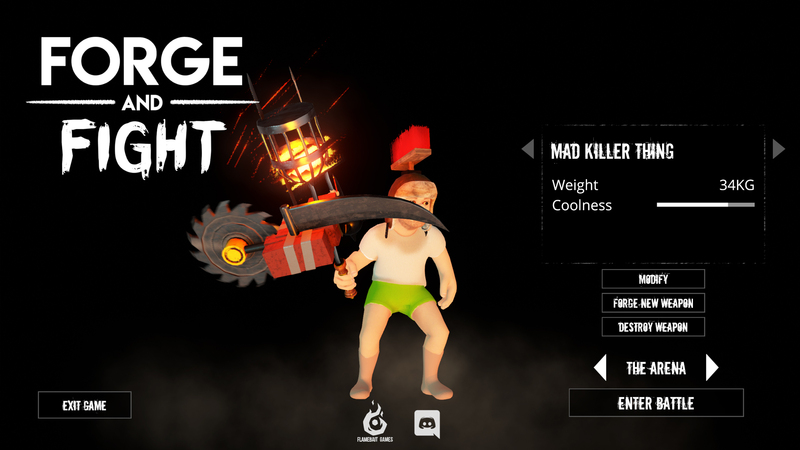 Later you will be able to experience this weapon in the arena, killing various enemies with the same unusual swords, maces, sledgehammers and more. The process of creating weapons in Forge and Fight is quite simple. In the special menu you will need to choose different elements from which you will create the weapon itself. First, you will need to choose a handle: from a sword, spear, ax, whip or something else. Then to this handle you can attach the blade from any weapon, or a special tee, for example, from which the continuation of the weapon will go in three different directions. And then cling to everything that is at your disposal. In the end, you can create an unusual sword with three ends on the handle from under the spear, or a deadly ax with a chain or additional blades on the end, or a rotating meat grinder or heaps of blades with which you chop enemies to the right and left. Well, then everything is quite simple. You will only need to take the created weapons and go to one of the many arenas where you will fight to choose from with other players who create equally interesting weapons, or with bots armed with primitive, but no less powerful cold weapons. True, the combat system is quite simple and will not allow you to work wonders in the arena — there are only a few types of strike, and the ability to run around the arena.